This solar powered and the climate control smartest pop-up tent is going to take your camping to the whole new level of fun. The panoramic interior doors and phone-controlled LED lightings come with numerous more user-friendly features. Why just camp when you can camp high tech. An ultralight camping stove, small enough to fit in your pocket. The ultra-portable camping stove is also a recommended invention to be bagged for your treks/mountaineering, etc. 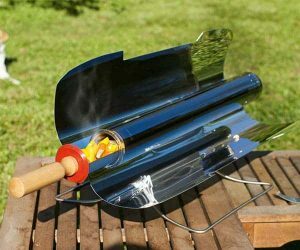 This small outdoor utility has “Piezo Ignition system” which can prepare you a hot meal in a short span of time.